Larry Watkins represents and advises owners, contractors, and suppliers on construction contracts, project finance, licensing & business regulation, and design & construction litigation, mediation, and arbitration. Mr. Watkins is also an American Arbitration Association Panel Construction Industry Arbitrator and Mediator, a Professor of Construction Law (ADJ) at the University of Arkansas School of Law, Little Rock, and a frequent author on and presenter of construction legal matters in Arkansas. Mr. Watkins has construction contract experience with all types of projects, including public buildings, private facilities, hospitals, offices, residential developments, educational buildings, industrial facilities, energy plants, and infrastructure. He has also worked with every type of project delivery method and contract, such as design-bid-build, construction manager (CM), construction manager at risk (CMAR), design-build, engineering procurement, and construction (EPC), and engineering, procurement, and construction manager (EPCM). 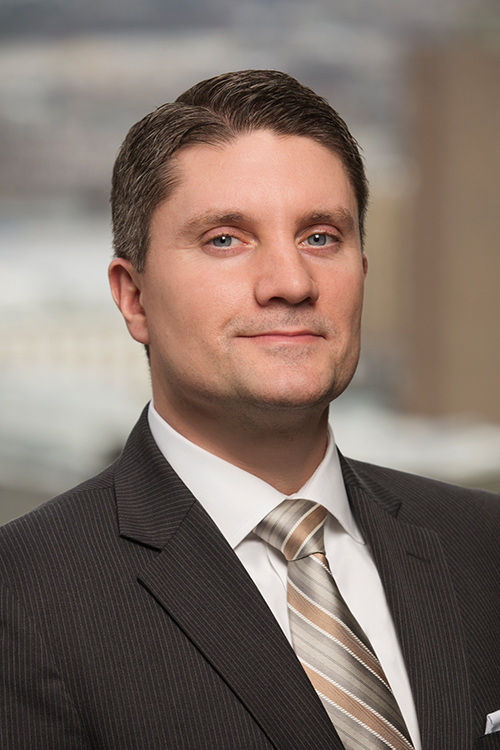 As one of the only construction attorneys in Arkansas who has worked on public-private partnership transactions, project development, and financing, Mr. Watkins provides clients with administrative and transactional guidance for public-private partnership projects. Furthermore, Mr. Watkins has been the managing attorney, lead attorney, and attorney for numerous Arkansas design disputes and construction litigation matters, including mechanic’s lien disputes, breach of contracts, construction defects, design defect, indemnity, breach of warranty, cost overruns, schedule delays, contractor licensing, bid protests, and force majeure events. In addition to his Arkansas construction legal matters, Mr. Watkins provides general corporate & contract legal counsel as well as OSHA legal services, such as compliance counsel, citation representation, and appeal counsel. Before joining Mitchell Williams, Mr. Watkins was corporate counsel for a large engineering and construction company, handling all construction & project finance transactions and managing all construction litigation, mediation, and arbitration. Prior to practicing law, he was a project superintendent, project engineer, project manager, and senior project contracts manager for some of the largest construction, architecture, and engineering companies in the United States. With over 20 years in the construction industry, his knowledge of and experience with all aspects of commercial, public, industrial, energy, and infrastructure projects constitute an invaluable asset to a project team. Public Construction Projects: Extensive experience with city and county construction projects using agency construction management, at-risk construction management, general contractor construction management, and lump sum competitive bidding (statutory compliance and contracts for 6 projects). Construction Contracts Drafting/Negotiation (Commercial Office): Lead Attorney for office & operations construction ($40MM), negotiating Construction Manager at Risk (CMAR) contracts. Construction Contract Structuring and Drafting (Commercial Office): Counsel for construction manager (CM) for a large multiphase commercial construction addition project during occupancy of the existing building. Construction Contract Drafting/Negotiation (Private Hospital): Contract negotiation and detailed scope definition for a CMAR contract for a large hospital project ($120MM). Project Financing Deal & All Project Contracts (Industrial & Infrastructure): Sole attorney for negotiating financing, procurement, design, and construction for a bio-refinery and energy plant ($1.7BB) and wastewater & process water treatment plants ($150MM) for a megaproject. Mechanic’s Lien Disputes: Attorney for owner in complex litigation over 10 mechanic’s liens. Regulatory Counsel: Represented consulting firm before Arkansas Contractor’s Licensing Board, negotiating a very favorable settlement. OSHA Counsel: Represented Arkansas petroleum company during an OSHA investigation and succeeded in decreasing the number and severity of the citations. Construction Law in Arkansas: Construction Lien Filings and Property Descriptions – Sometimes Less Is More. Tortious Interference with Business Expectancy – A Trap for the Wary and Unwary Alike, 34 U. Ark. LittleRock L. Rev. 619 (2012).